Thankfully when TLC told us to not chase waterfalls they meant it only as a metaphor. I bet that they would think that it's totally cool if you want to go check out some real waterfalls on your leisure time. Might I suggest venturing to the Stoney Creek-Hamilton region in Southern Ontario. There is a plethora of waterfalls in that area, you could easily make a day of chasing waterfalls. 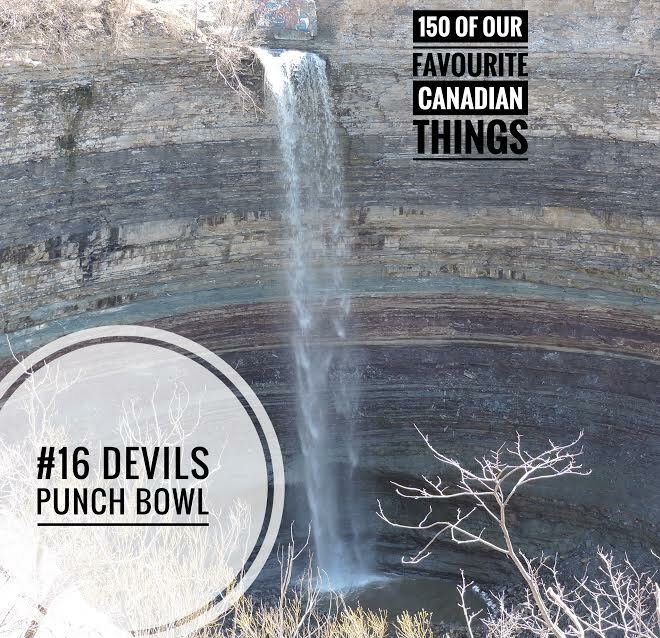 My favourite waterfall in the area is the Devils Punch Bowl. Not only does it have a cool rock and roll name and a very impressive view of the area, there is also a well stocked bakery one minute up the road.